Toxoplasmosis is a parasitic infection caused by the protozoan Toxoplasma gondii. 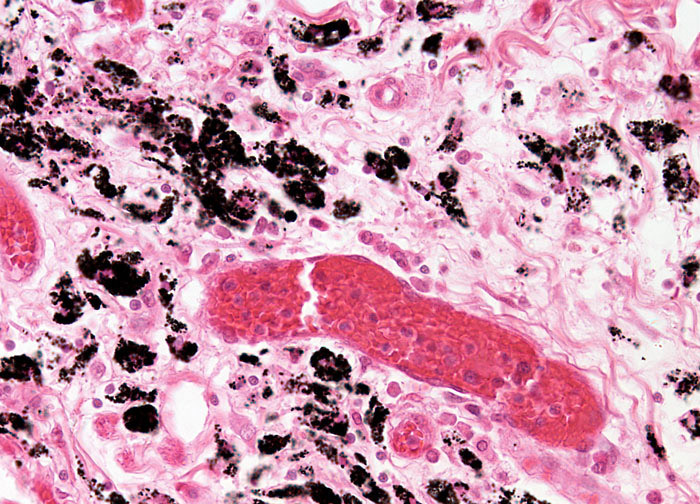 The definitive hosts for the organism are domestic and feral cats, but birds, humans, and a variety of other animals can become infected by accidental ingestion of infectious oocysts. Members of the family Felidae release the oocysts with their excrement and after a period of days or weeks, depending on environmental factors, the oocysts become infectious agents and may remain so for up to a year. If within this time an individual comes in contact with the oocysts when changing cat litter or from gardening, or other contact with infected soil, then they can become infected if contact with the mouth occurs before hands are washed. Infection can also occur from eating unwashed fruits or vegetables that have been contaminated with the oocysts or by consuming undercooked meat or untreated water that has been infected.